In Old Town, next to a bar my classmates and I often meet at, is Revolution Donuts, which keeps amusing hours. Monday through Thursday they are open from 7am to 12pm, but on weekends—Friday, Saturday, and Sunday—they are open from 8:30pm to 2:30am. How brilliant to make a point of catering to drunken, late-night donut cravings! On nights out, I always pass by debating whether I should go get one. 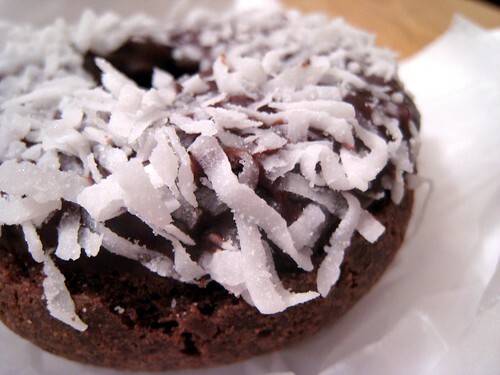 On one such occasion I finally dropped in and picked up a coconut-covered chocolate donut before biking home. 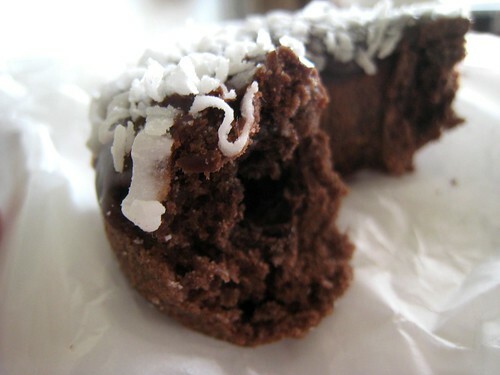 Back in my apartment, I ate half, savoring its moist, dense cake and sweet shreds of coconut. 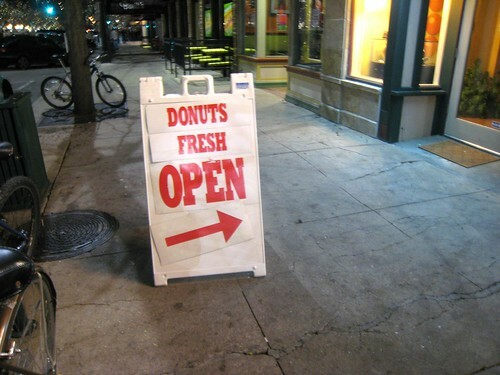 The next morning I ate the other half with a cup of steaming black coffee, so you can be sure that you're getting a sober opinion: it was a pretty good donut. Haven't tried the others, but it's probable I will eventually.